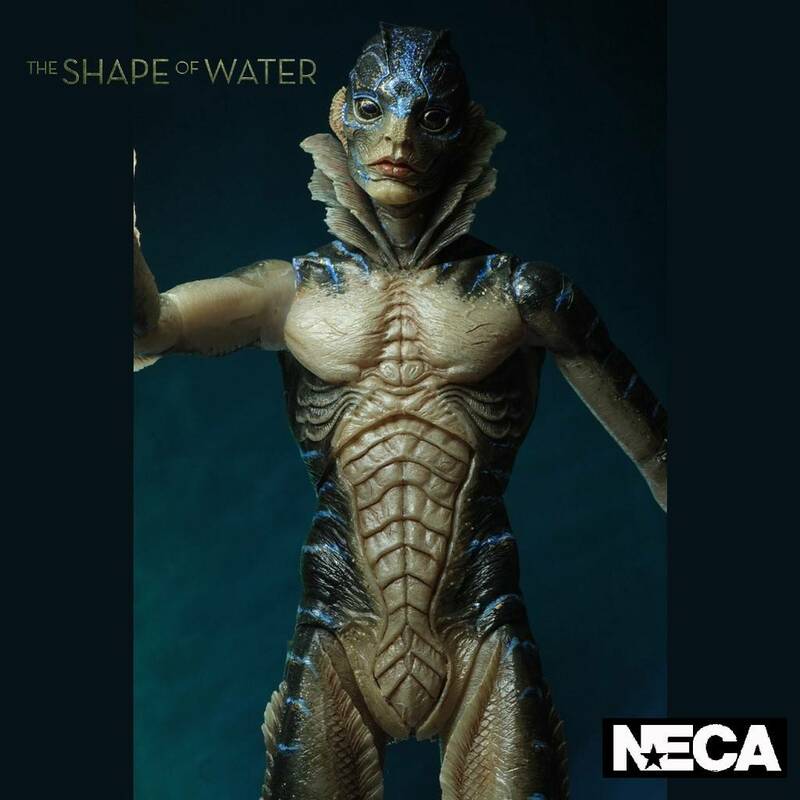 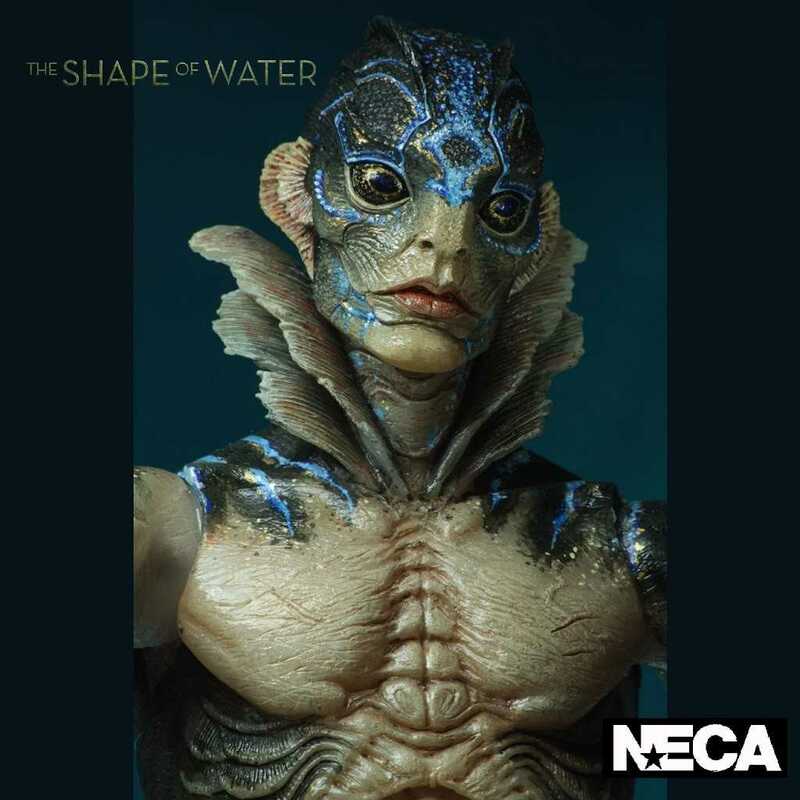 From the NECA Guillermo Del Toro range of action figures, we introduce the Amphibian Man from the wonderful film The Shape Of Water. 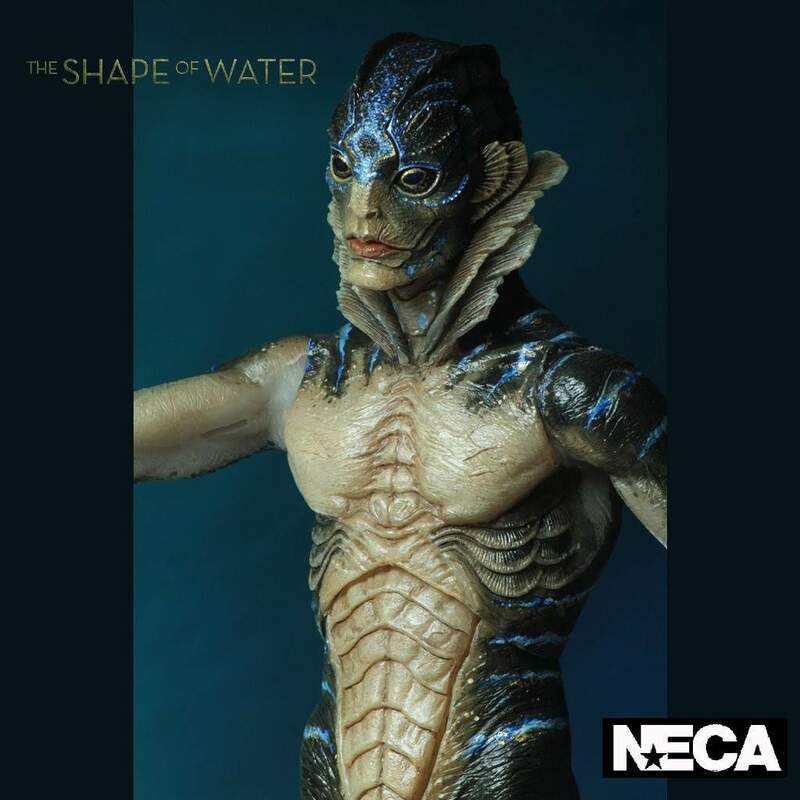 From the wonderful acclaimed romantic fantasy film The Shape Of Water, directed by Guillermo Del Toro, we introduce this stunning action figure of the Amphibian Man that was portrayed by actor Doug Jones. 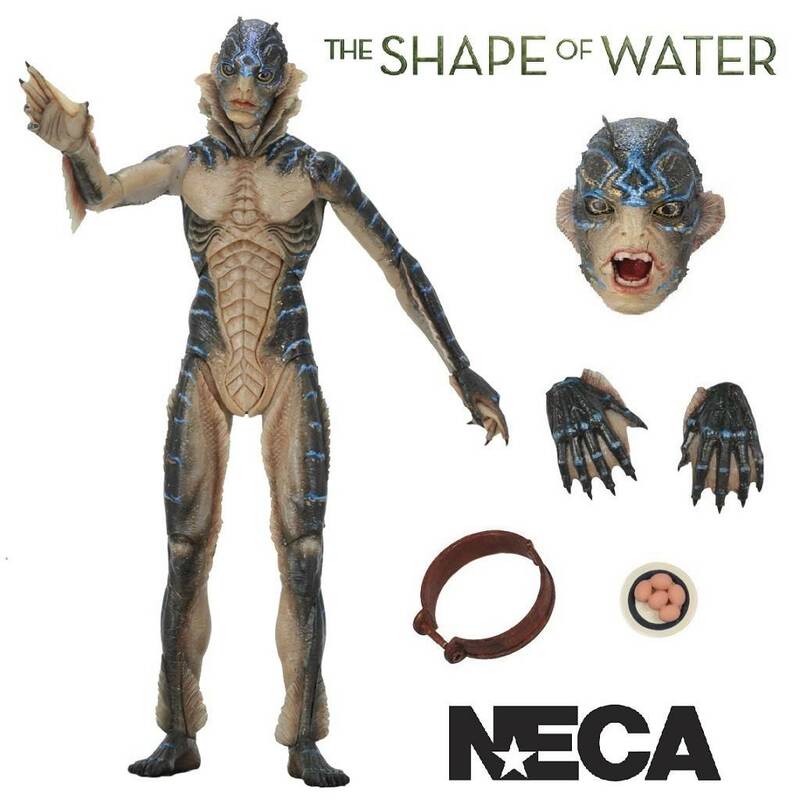 The Amphibian Man stands at approximately 8” tall, is super-poseable and comes complete with an interchangeable head, removable shackles, a bowl of eggs and display a base. 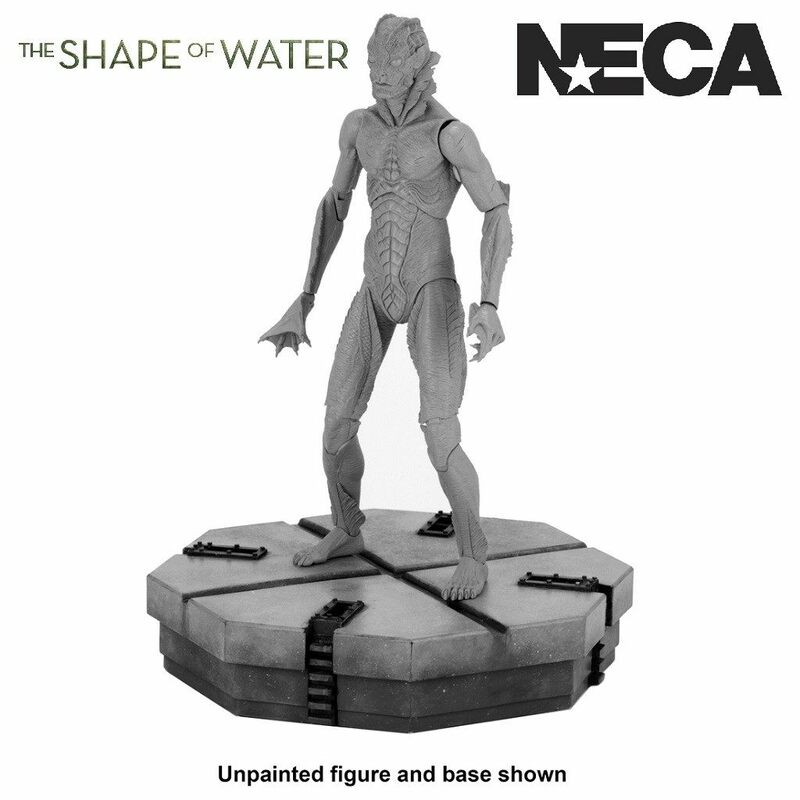 Come packed in a collectible deluxe window box..